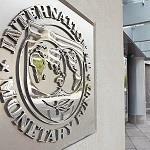 IMF’s spokesman Mr. Rice said yesterday during a press briefing that the Fund considers the primary surplus target of 3.5%-of-GDP up to 2022 as realistic, but after that it believes that the target ought to be reduced to 1.5%, against the average 2% target for the 2023-60 period agreed at last week’s Eurogroup in Luxembourg. Mr. Rice noted IMF’s DSA will be based on the targets and parameters that it considers realistic and the fiscal target that it will adopt will determine the extent of the debt relief the Fund considers as necessary for it to become sustainable.Mr. Rice also said that the Greek President of the Republic Mr. Pavlopoulos has invited Ms. Lagarde to visit Greece, and the MD was very grateful for the invitation and is looking forward to visiting Greece when both their schedules allow.